The endometrium is a unique and remarkable tissue characterized by a constant regeneration activity and this has been speculative for scientists, regarding its mechanism, regulatory factors, and their significance for fertility and endometrial pathology. Relatively recent scientific progresses due to genomics, proteomics, and transcriptomics have changed the knowledge in respect with endometrial regeneration and uterine-derived diseases. Our review is designed to highlight the recent progresses in understanding the endometrial physiology and its alterations involvement in uterine-derived diseases, addressing the current paradigm regarding endometrial regeneration, based on endometrial regenerative cells. In an attempt to explain the complex process of endometrial regeneration, different mechanisms have been proposed during time, from proliferation of basal glandular cells, to mesenchymal-epithelial transition, and lately to differentiation of stromal cells, based on endometrial regenerative cells or stem cells. Their unlimited potential of reconstruction of any type of tissue has been demonstrated and is currently in different trial stages in cell-based therapies of regenerative medicine, opening promising perspectives in severe or lethal diseases, by exploitation of stem cells. Currently, beside uterine acquired diseases and infertility, endometrial stem cells have been tested in a large spectrum of clinical applications. The great potential of endometrial cells for cell therapies arise from their accessibility, completely xeno-free derivation, allogenic use, possibility of large-scale therapeutic doses production, safety, reproducibility, and chance to overcome the drawbacks associated with autologous therapies. In order to overcome hostile environment of an injured tissue, the association of endometrial stem cells with other cells or added medium opens the perspective of specific combination available as standardized therapeutic means in the next future. Basal cell carcinoma (BCC) represents the most common skin malignancy, which has been linked over time to multifactorial causes. It usually occurs on sun-exposed areas in people with fair skin and with predilection for men. BCC usually affects elderly patients and has an extremely wide range of histological subtypes, which can present clinically under different variants, some with really challenging differentials. Although BCC may occur in familial settings, such as nevoid BCC syndrome, Rombo or Bazex-Dupre-Christol syndromes, nonsyndromic multiple BCCs have also been described in the scientific literature. In this review, we discuss in detail the latest scientific concepts regarding BCC, its etiology, pathogenesis, genetic bases of disease, morphology and immunophenotype, as well as the currently known genetic syndromes, which may lead to development of multiple BCCs, especially in young adults. The incidence of multiple pregnancy has significantly increased over the past decades, reaching different statistics to double, triple, or even overcome these numerical orders globally. Zygosity and chorionicity are the key elements in the multiple pregnancy but the placentation issue should be correlated primarily with zygosity, unlike chorionicity that should be correlated with the outcome and complications of multifetal gestation. Multiple pregnancy is by itself a special maternal-fetal condition, and the monochorionic one, moreover, due to specific complications. These aspects make early assessment of chorionicity and amnionicity a priority. Ultrasound is essential in pregnancy but pathological placental examination after delivery is complementary, in order to have a complete overview of potential mechanisms and pathogenesis affecting twin gestation. 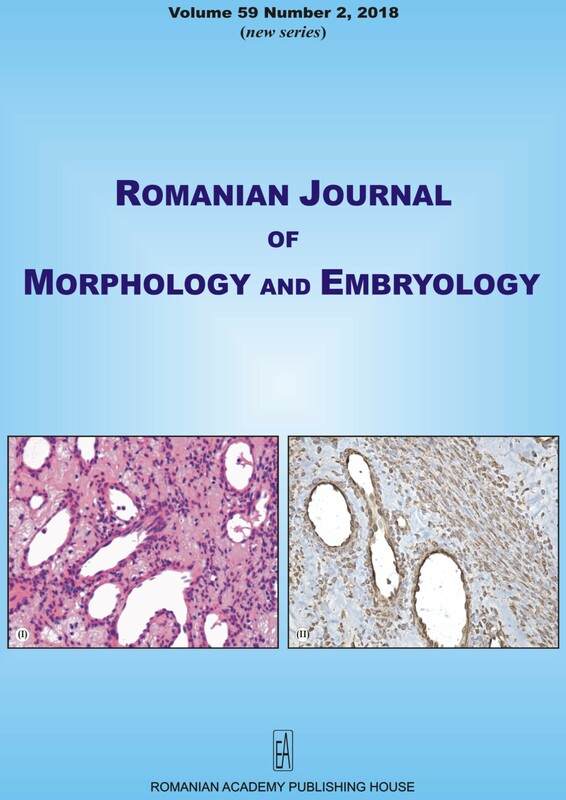 In this review, we highlight both ultrasound aspects specific to multifetal placentation, complemented by macro and microscopic morphological aspects, which underpin the obstetric imaging. Vascular endothelial growth factor (VEGF) represents a growth factor with important pro-angiogenic activity, having a mitogenic and an anti-apoptotic effect on endothelial cells, increasing the vascular permeability, promoting cell migration, etc. Due to these effects, it actively contributes in regulating the normal and pathological angiogenic processes. In humans, the VEGF family is composed of several members: VEGF-A (which has different isoforms), VEGF-B, VEGF-C, VEGF-D, VEGF-E (viral VEGF), VEGF-F (snake venom VEGF), placenta growth factor (PlGF), and, recently, to this family has been added endocrine gland-derived vascular endothelial growth factor (EG-VEGF). VEGF binds to tyrosine kinase cell receptors (VEGFRs): VEGFR-1 [Fms-like tyrosine kinase 1 (Flt-1)], VEGFR-2 [kinase insert domain receptor (KDR) in human; fetal liver kinase 1 (Flk-1) in mouse] and VEGFR-3 [Fms-like tyrosine kinase 4 (Flt-4)]. While VEGFR-1 and VEGFR-2 are expressed predominantly on vascular endothelial cells, VEGFR-3 is expressed especially on lymphatic endothelial cells. VEGFR-2 has the strongest pro-angiogenic activity and a higher tyrosine kinase activity than VEGFR-1. Endothelial cells also express co-receptors, such as neuropilin-1 (NP-1) and neuropilin-2 (NP-2), which modulate tyrosine kinase receptor activity. Both VEGF and VEGFRs are expressed not only on endothelial cells, but also on non-endothelial cells. This article aims to highlight the most recent data referring to the VEGF family and its receptors, as well as its implications in the angiogenesis process. At present, blocking angiogenesis in cancer or in other pathological processes, using anti-VEGF and anti-VEGFRs therapies, is considered to be extremely important. Cardiovascular diseases are the main cause of death worldwide, with coronary artery disease (CAD) being the predominant underlying etiology. Coronary angiography (CA) is the current invasive method used for CAD diagnosis, as well as for defining the coronary interventional treatment strategy. However, CA offers sometimes-poor accuracy in estimating atherosclerotic plaque volume, morphology and degree of stenosis severity. Optical coherence tomography (OCT) is an intracoronary imaging technique, developed in order to overcome CA limitations and is considered to be an optical biopsy that provides in vivo imaging. OCT has an extremely high resolution, similar to that of a usual histological evaluation of a biopsy sample. One of the most important clinical research areas for OCT is represented by the study of the pathophysiology of coronary and carotid atherosclerotic disease, in order to improve diagnosis and optimize therapy. This article reviews OCT basic technical aspects related to its diagnosis efficacy, OCT morphological information offered in coronary artery disease, including acute coronary syndromes and non-atherosclerotic coronary disease, OCT use for morphological percutaneous coronary intervention (PCI) follow-up and stent-failure mechanisms, as well as the new three-dimensional (3D)-OCT approach for atherosclerotic plaque assessment. Basal cell carcinomas (BCCs) are the most common malignant skin tumors, with variable prognosis and recurrence rates, depending on histopathological subtypes. The study analyzed the immunoexpression of epidermal growth factor receptors (EGFRs) in 53 cases of nodular, adenoid and morpheaform BCCs in relation to clinico-pathological associated parameters. We found significant differences in the expression of EGFR, HER2 and HER3 reported to histological BCC types. The nodular type presented the weakest expression of EGFRs, while the morpheaform type had a high expression of all receptors and the adenoid type an increased expression only in case of EGFR and HER2. This study supports the involvement of EGFR, HER2 and HER3 in BCC aggressiveness of and in tumor differentiating towards different histological subtypes. Microglia are the first and main form of active immune defense in the nervous system. The immune status of microglia is directly correlated to their morphology. Therefore, microglia morphology is used to distinguish between active and surveilling microglia. For the actual paper, we used confocal laser scanning microscopy (cLSM) and two-photon laser scanning microscopy (2P-LSM), to investigate microglia morphology of 14-16 weeks old male, transgenic mice (n=6). After obtaining, in vivo and fixed tissue, single cells images, we manually tracked individually branch segments of normal microglia. The total number of branches and their overall length were analyzed. Additionally, the number and mean length of each branch order were measured. The overall microglia branching morphology was not different between the two acquisition methods. However, a higher number of fifth branches was observed using cLSM and 2P-LSM, in both fixed and in vivo tissue. Although results from the two methods are mainly comparable, small differences between them should be taken in consideration when formulating an activating/surveilling conclusion that is purely based on pure microscopic findings. Furthermore, in our opinion, due to their highly dynamic nature, microglia should be carefully labeled as resting or active, taking also into consideration the imaging method used to obtain the data. The purpose of this study is to determine the cephalic and facial morphological typology in prepubertal children from Timisoara (Romania) and to develop a population-specific reference for the dental eruption of permanent teeth in the supporting zone of the dentition, in relation to the facial morphological typology. Using cephalic and facial indexes in a group of 234 preadolescents with mixed dentition, we quantified morphological associations between cephalic and facial types, using a cross-sectional design. The prepubertal children in Timisoara have a dominant mesoprosopic facial type and mesocephalic type. For supporting zone of the dentition, the presence of permanent teeth, the canine, the first premolar and the second premolar was recorded, for all four quadrants. Dental eruption in the supporting zone of the dentition has particularities depending on population group, gender, dental arch, but also facial type. From the data of this study, the following patterns of eruption, specific to each facial type, have resulted: for leptoprosopic facial type - first upper premolar (UP1), second upper premolar (UP2), upper canine (UC)/first lower premolar (LP1), lower canine (LC), second lower premolar (LP2); for mesoprosopic facial type - UP1, UP2, UC/LC, LP1, LP2; and for euryprosopic facial type - UP1, UP2, UC/LC, LP1, LP2. The leptoprosopic and euryprosopic facial types have a delayed and accelerated eruption compared to the mesoprosopic facial type. The euryprosopic facial type has more intense mandibular eruption. The leptoprosopic facial type registers the largest percentage of children requiring orthodontic treatment. Monitoring the sequence of eruption of the permanent teeth is very important to ensure the balanced development of the dental occlusion, mandible and facies as a whole. ProTaper Next (Dentsply Maillefer, Ballaigues, Switzerland) (PTN) and One Shape New Generation (MicroMega, Besancon, France) (OSNG) belong to a relatively new generation of rotary nickel-titanium (NiTi) files. Scientists keep improving features of endodontic files in order to obtain anatomically shaped and cleaned root canals and avoid canal transportation, for a better outcome of the endodontic treatment. For the current study, the aim was to evaluate and assess the changes in root canal morphology after instrumentation with PTN and OSNG by using micro-computed tomography (CT). This high-tech resolution tomography allows a much more detailed analysis of the root canal anatomy and its transformation after rotary instrumentation. We have selected 10 mandibular molars; before and after canal preparation, the samples were distributed in two homogeneous groups (PTN and OSNG groups) and submitted to standardized radiographs and micro-CT (SkyScan1172, Kontich, Belgium). From the three-dimensional (3D) images obtained from the scanning, we were able to perform a two-dimensional (2D) (perimeter, area and roundness), respectively a 3D (volume, surface area, structure model index) analysis, before and after root canal instrumentation. Results did not revealed important statistical differences among the two groups in relation to the curvature and volume of the root canals before instrumentation; after rotary instrumentation, there was a substantially increase of volume and surface area for all the samples (p<0.05). The two types of instruments preserved the original canal path, maintaining a continuous, safe and adequate shape and taper of the root canals. Background and aims: The pathogenesis of gastric cancer involves premalignant changes of the gastric mucosa. An accurate estimation of the topography and severity of these lesions represents an important step in detecting premalignant lesions, thereby classifying patients into low or high risk of developing gastric cancer. We prospectively analyzed the diagnostic performance of narrow-band imaging with magnification endoscopy (NBI-ME) for assessing premalignant gastric lesions during real-time examination. Patients, Materials and Methods: A total number of 59 patients were examined by NBI-ME and target biopsies of the antrum, corporeal, and incisura angularis levels. Modified endoscopic patterns were classified into three groups: type A [tubulo-villous mucosal pattern with regular microvessels, or the light blue crest (LBC) sign], type B [disappearance of normal subepithelial capillary network (SECN) pattern], and type C [irregular mucosal pattern (IMP) and/or irregular vascular pattern (IVP)]. The endoscopic diagnosis was compared to histological findings (the gold standard). The NBI-ME results were assessed for accuracy, sensitivity, specificity, and negative and positive predictive values in detecting intestinal metaplasia, atrophic gastritis and dysplasia. Results: Analysis of endoscopic patterns showed a good correlation with premalignant lesions (p<0.05). Type A pattern showed 80.2% accuracy, 80.43% sensitivity and 80% specificity [area under receiver operating characteristic (AUROC) of 0.8] in detecting intestinal metaplasia. Diagnostic performance for assessment of atrophic gastritis was not ideal (69.5% accuracy, 83.72% sensitivity, 56.04% specificity, AUROC 0.69). Pattern C represents a reliable endoscopic marker for the diagnosis of dysplasia (91.1% accuracy, 83.3% sensitivity, 91.81% specificity, AUROC 0.87). The extension of precancerous lesions was estimated during endoscopic examination. Conclusions: NBI-ME represents a valuable tool in the assessment of premalignant gastric lesions, thereby categorizing patients into low and high risks of developing gastric cancer. The applicability of the method in routine practice is promising, as it helps shape the follow up protocol of patients with premalignant lesions of the stomach. It is worth mentioning that, this method requires standardization, additional training, and expertise. The masseteric region is considered by the most researchers as a subdivision of the parotideomasseteric region. Because of its surgical significance, we emphasize it has distinctive morphofunctional features. The aim of this manuscript is to highlight particular characteristics of the masseteric region and practical applications of this concept. The material used was represented by 12 embalmed cephalic extremities dissected in Ion Iancu Institute of Anatomy, Grigore T. Popa University of Medicine and Pharmacy, Iasi, 10 operating specimens from the Clinics of Maxillofacial Surgery and Plastic Surgery of the St. Spiridon University Hospital, Iasi, Romania, and computed tomography (CT) and magnetic resonance (MR) images from the same patients. Our results underline the importance and individual arrangement of the superficial muscular aponeurotic system (SMAS) of the face, at the level of masseteric region. The superficial fascia facilitates adhesion to the dermis of the mimic muscles of the region. This reveals that the masseteric superficial fascia will follow the masticatory movements of the mandible and masseter, but also those of the minor and major zygomaticus muscles. These muscles are the infra-SMAS layer and thus take part in the formation of a unitary complex together with the superficial fascia. The particularities of the SMAS in the masseteric region are especially important in plastic and reconstructive surgery. The purpose of this study was to synthesize, characterize and test the antimicrobial and antifungal activity of chitosan-based hydrogels containing metal (silver - Ag) and oxide (zinc oxide - ZnO) nanoparticles (NPs) but also natural compounds such as usnic acid (UA). The two-dimensional (2D) sheets were obtained by electrospinning technique, with the aim to produce multifunctional wound dressing with regenerative and even anti-infective roles. The most important advantages of the electrospinning technique are related to the possibility of obtaining fibers with controlled morphology, usually having high specific surface and water and air penetration and the possibility of functionalizing these fibers and nets depending on the desired application. These advantages make it possible to use electrospinning for a wide range of biomedical applications, such as tissue engineering, controlled release, implantology, wound healing, and more. The obtained composite materials were characterized by infrared (IR) spectroscopy and scanning electron microscopy (SEM) and tested against common pathogens: Pseudomonas aeruginosa (Gram-negative staining), Staphylococcus aureus (Gram-positive staining) and Candida albicans (fungus). The prevalence of endometrial cancer among asymptomatic women is rather reduced also due to the absence of a cost-efficient test, as there are no ideal screening examinations for endometrial cancer. Several methods were proposed in medical practice to discover endometrial neoplasia at an early stage, among which: endometrial biopsy, endovaginal ultrasound, targeted biopsy hysteroscopy. This study was made on a group of 38 patients monitored for metrorrhagia in the interval between July 1, 2014-July 1, 2016. All patients were monitored clinically and by ultrasound, endometrium samples were taken by biopsied uterine curettage, and a histopathological examination was performed, completed by immunomarking, whenever necessary. The clinical and paraclinical methods allowed for the creation of a protocol by which patients were monitored. This protocol allowed for the modulation and effectiveness of the treatment, establishing the best therapeutic conduct and the remote supervision. Introduction: Cervical lipomas are tumors that may present as painless masses with slow growth. This type of tumors is usually asymptomatic until they reach a large size. They can be solitary or multiple. When multiple and symmetrical distributed around neck area, the lesions can be classified as Madelung s disease, a rare condition that affects mostly Mediterranean men. Our objective was to describe the symptoms, cytological and histological aspects, diagnostic problems and treatment strategies of the large size lipomas and to highlights that the differential diagnosis between common lipoma of cervical area and Madelung s disease can be established only on clinical grounds, with major implications in the treatment options. Materials and Methods: The study was retrospective and analyzed archived material. We selected four cases of cervical lipomas, each with its particularities, treated in the Clinic of Oral and Maxillofacial Surgery, Timisoara City Hospital, Romania. For all the cases, we performed a fine-needle aspiration with consequent cytological exam. The microscopic evaluation of Papanicolaou-stained slides established the diagnosis of lipomas. The surgically removed specimens were sent to the Department of Pathology. The excised specimens were prepared with routine histological technique. Results: The cases presented one or more lateral cervical swelling of the neck, inserted among major vascular-nervous elements, becoming life-threatening conditions. All the cases studied had the same cytological and histopathological features consistent with lipoma, fibrolipoma or angiolipoma, but, instead of this, clinical aspects differed from case to case. On clinical grounds, two patients were considered as Madelung s diseases. Conclusions: Despite of the same histopathological aspects, lateral cervical lipomas can be classified in varies categories with different treatment strategies and prognostic factors. The correct diagnosis of Madelung s disease is important in order to add other treatment options to the surgery or liposuction as avoiding alcohol or medication for metabolic disorders. This paper presents a very rarely encountered case of a 45-year-old female, admitted in our Surgical Clinic for upper digestive bleeding (repeated hematochezia). The upper endoscopy was negative, but the barium meal discovered an apparently extrinsic duodenal (D3) stenosis; abdominal ultrasound diagnosed a left liver mass suggesting a metastatic tumor. The hematochezia relapse, with hemodynamic instability imposed emergency surgery; on laparotomy, a bleeding tumor located on the duodenopancreatic region was discovered, and a pylorus-preserving pancreaticoduodenectomy (Traverso-Longmire) was performed. The histology and immunohistochemistry established the diagnosis of duodenal stromal tumor, CD34 and CD117 positive, with an estimated progression risk of 34%. The postoperative evolution was favorable, the patient being alive, four years after the surgery. Hepatocellular carcinoma (HCC) is the primary malignant tumor of the liver that is directly derived from parenchymal cells. It is usually encountered in patients already suffering from a long-established liver disease that has evolved past the stage of liver cirrhosis. It is usually associated with viral liver infections, alcohol consumption or other dietary habits that lead to liver damage. Metastases are not rare and are usually found incidentally after a period of monitoring the main liver disease. We present here a rare case of HCC metastasis found in the right gluteal region, in a hepatitis C virus-infected patient also displaying lung tumor lesions. Diagnosis of both the metastasis and of the primary tumor were found during the same hospital visit, employing contrast-enhanced computed tomography, magnetic resonance imaging and ultrasound (US), with positive biopsy of the metastatic lesion, performed under US guidance. The patient received oncological treatment, with good prognosis and stable evolution during the next eight months since diagnosis. Hemangiomas, the most common benign tumors of the liver, have a prevalence of approximately 20% and are more frequent in women. According to previous studies, the size and location of the tumor are correlated with the appearance of symptoms and complications. Cases of hemangiomas complicated by spontaneous intratumoral hemorrhage have been rarely reported in the literature. Here, we report the case of a 70-year-old woman admitted for persistent upper abdominal pain. The patient showed signs of anemia, inflammatory markers and a transient increase in creatinine levels, which were corrected by conservative treatment. Our patient denied the previous use of estrogen derivatives, smoking or alcohol consumption. Native computed tomography identified a liver mass measuring 73x63 mm, located in segment IV and bulging out of the anterior contour of the liver. The mass was surgically removed by hepatic segmentectomy, and histopathological examination identified a cavernous hemangioma complicated by intratumoral hemorrhage. The postoperative outcome was favorable. After a literature review, we identified 19 other cases of hepatic cavernous hemangioma complicated by intratumoral hemorrhage reported worldwide. Vanek s tumor or inflammatory fibroid polyp (IFP) is a rare submucosal, mesenchymal tumor of the digestive tract, of unknown etiology. We present an unusual case of a 62-year-old female patient, investigated for intermittent nausea, vomiting, abdominal pain and anemia. Narrow-band imaging (NBI) endoscopy showed a polypoid tumor with normal coverage mucosa prolapsing through the pylorus. The tumor was surgically removed. Histopathological (HP) examination revealed the presence of spindle cells with uniform nuclei exhibiting no mitotic activity. The inflammatory cells were predominantly represented by eosinophils. The vascular component was prominent suggesting a vascular lesion. We put emphasis on the presentation of this particular case because of its scarcity among the other types of gastric polyps, suspicion for features of malignancy, and the particularities of the clinical presentation, consisting of intermittent gastric outlet obstruction (ball valve syndrome) accompanied by weight loss and anemia. The differential diagnosis of other benign or malignant gastric lesions was based on endoscopic, computed tomography and HP aspects. Synovial sarcoma (SS) is a malignant soft tissue tumor representing 5-10% of all soft tissue sarcomas. Most synovial sarcomas are found at the extremities, especially in the lower limbs. A 28-year-old female presented at the Department of Plastic and Reconstructive Surgery, Dr. Pius Brinzeu Clinical Hospital, Timisoara, Romania, for evaluation of a mass located in the anterior region of the elbow. Imagistic, histological and immunohistochemically evaluations established the diagnosis of monophasic spindle cell SS G2. Block excision of the tumor with oncological safety margins was performed followed by total elbow arthroplasty. The patient then received radio- and chemotherapy. The case was followed-up at regular intervals for local recurrence and metastases and was free of symptoms at two years. Early diagnosis of SS, multimodal therapies and performing an arthroplasty of the elbow allowed the patient to resume daily activities. The unpredictable evolution requires regular follow-up for a long period of time. Epstein syndrome is an extremely rare genetic disorder characterized by the association of nephritis, deafness and megathrombocytopenia. We present the case of a 21-year-old patient diagnosed with Epstein syndrome and hyperparathyroidism secondary to chronic kidney disease. The main particularity of this case resides in the association between megathrombocytopenia and secondary hyperparathyroidism requiring surgery, which could lead to a series of concerns regarding the intra- and postoperative hemorrhagic risk of the procedure. Nevertheless, both the surgical procedure and the postoperative recovery were uneventful, suggesting that the lower threshold for preoperative thrombocyte count in megathrombocytopenia should be specifically considered on an individual case analysis. Lymphangiomas are enough rare benign congenital tumors of the lymphatic vessels, frequently encountered during childhood. They are found in the head and neck region, the isolated localization in the nasopharynx is very rare. We present the case of 54-year-old man admitted in the Department of Ear, Nose and Throat (ENT), Emergency University Hospital of Bucharest, Romania, with a nasopharynx tumor certificated by computed tomography (CT) scan with significant bleeding to a previous incisional biopsy temptation rising angiofibroma suspicion. We performed the radical surgical excision of mass by transoral approach. Postoperative bleeding imposed angiography with right internal maxillary artery embolization. Histopathological evaluation showed the diagnosis of lymphangioma. After three years, the patient is without recurrence. Non-Hodgkin s lymphomas are chronic lymphoproliferative disorders, with nodal or extranodal onset, most of which being digestive tract lymphomas. Testicular primitive lymphoma generally affects men; it is rare but aggressive type of lymphoma. We present the case of the only patient diagnosed with testicular lymphoma in Hematology Clinic of Craiova, Romania, in the last 20 years. Histopathological and immunohistochemical exams confirmed the diagnosis of diffuse large B-cell lymphoma, and the stage was IIB. According to International Prognostic Index (IPI) score, the patient was classified as low risk. He received combined treatment consisting of surgery, chemotherapy, central nervous system prophylaxis and radiotherapy. The outcome was very good, the patient achieving complete remission. After 36 months, he is still in complete remission with clinical and biological evaluation performed every three month, and computerized tomography once a year. Calciphylaxis is a condition with unclear etiopathogeny with vascular calcifications and thrombotic occlusion that lead to necrotic lesions. It is usually described in patients with end-stage renal disease (ESRD), but also in other conditions. The mortality rate is high, due to sepsis and internal organ failure. We present the case of a patient with multiple comorbidities (ESRD, diabetes, hypertension, Monckeberg s sclerosis) with problems of differential diagnostic due to the necrotic lesions that mislead initially to systemic lupus erythematosus (SLE) with necrotizing vasculitis. Giant cell arteritis (GCA) is a large-vessel vasculitis with rarely described respiratory initial manifestations. We report such a case presenting with hoarseness, stridor, cough and dyspnea, in which a tracheomegaly with tracheomalacia was found. No signs of relapsing polychondritis were present. The respiratory symptoms rapidly improved after glucocorticoids and Azathioprine. Tracheomegaly or Mounier-Kuhn syndrome is characterized by marked dilatation of trachea and central bronchi. The differential diagnosis and the possible relationship between tracheomegaly and GCA involving metalloproteinase-induced elastolysis are discussed. This is the first case, to our knowledge, of Mounier-Kuhn syndrome in vasculitis. The association of tracheomegaly with GCA may be underestimated, as the diagnosis is not always obvious on conventional radiographs. A tracheal enlargement finding in GCA requires monitoring to ensure early detection and prevention of spontaneous tracheal rupture. Adding a metalloproteinase inhibitor like Doxycycline to GCA therapy would be rational for the prophylaxis of complications. Agenesis, aplasia and hypoplasia of the internal carotid artery are rare congenital malformations. They are usually asymptomatic and incidentally discovered through ultrasound or imagistic tests. The aim of this study is to improve their management in our Departments. We report here the case of a 39-year-old woman addressed to our ambulatory in 2013 for benign symptoms like dizziness and headache. Imagistic findings (magnetic resonance imaging of the brain, and cervical spine, and magnetic resonance angiography of the head and neck) indicated a very rare condition: left internal carotid artery agenesis accompanied by the absence of the pre-communicant part of the left anterior cerebral artery and of the right posterior communicating artery. Internal carotid artery agenesis is an uncommon congenital anomaly and it could be misdiagnosed as stenosis/occlusion of this artery. This condition is important to be recognized due to the associated hemodynamic changes and in order to discover and evaluate other accompanying vascular malformations (aneurysms, collateral channels) and their life threatening potential risks (subarachnoid hemorrhage or ischemia). Also, it has a special importance in case of planning carotid or trans-sphenoidal hypophyseal surgery. 26. Status thymicolymphaticus: real or fake? Sudden infant death syndrome (SIDS) is the sudden, unexpected death of an infant less than one year of age that remains unexplained after a full investigation. SIDS is the most frequent cause of death of infants between two weeks and one year of age, explaining 35% to 55% of all deaths in this age group. We report a newborn male who died soon after birth. The newborn was cyanotic, bradycardic at first, and then asystolic; without any vesicular murmur, apneic, low amplitude thorax movements, even under conditions of positive pressure ventilation on the endotracheal tube. The microscopic aspect thymus highlighted a corticomedullary ratio quite high in favor of the cortical, rich in lymphocyte population, with the dilated subcapsular sinuses. In this report, we considered that cardiorespiratory failure, which was the immediate cause of death, could have been caused by the thymus hypertrophy. This hypertrophy can be a complication of an intrapartum preexistent condition, most probably of hepatic nature. Background: Gastrointestinal stromal tumor (GIST) is a mesenchymal tumor of the gastrointestinal tract. Very few cases of coexistence of GIST and adenocarcinoma in other organs have been described. Case presentation: We present the case of a 63-year-old female patient diagnosed with breast cancer. After five years of the diagnosis, the findings of colon adenocarcinoma and GIST in stage IA were discovered incidentally during surgical treatment of the colon carcinoma. This tumor display: mixed spindle-epithelioid cell cytological type, of moderate cellularity, mitotic index (1/10) with low anaplasia, low proliferative status (Ki-67 index 12%), without necrosis and immunophenotype profile: antiendomysial antibody (EMA)-, vimentin+++, CD117++, CD34+++, alpha-smooth muscle actin (alpha-SMA)+, desmin+/-, S-100-, CD68-. Conclusions: The present case is extremely rare since the patient has adenocarcinoma with GIST in a previously diagnosed breast carcinoma. Based on this, in clinical practice should always think about possibility occurrence of synchronous and metachronous tumors. Intrapancreatic accessory spleen (IPAS) is a congenital anomaly usually misdiagnosed as a pancreatic neoplasm. For five years and four months, we collected seven IPASs located in the tail of the pancreas in four patients diagnosed by endoscopic ultrasound-guided fine-needle aspiration (EUS-FNA). All cases had associated cell block preparations. Each patient underwent endoscopic ultrasound, computed tomography (CT), and magnetic resonance imaging (MRI) studies. The patients ranged in age from 57 to 73 years (mean age 65.7 years old). All lesions were well-defined, 1-1.9 cm in size (mean 1.5 cm). To our knowledge, a case with four IPASs in the tail of the gland has not been previously reported. Cytological features of IPAS included a polymorphous population of hematopoietic cells admixed with occasional blood vessels. Cell blocks comprised spleen red pulp. CD8 immunostaining of cell blocks highlighted splenic endothelial cells and confirmed the diagnosis. IPAS presented as an asymptomatic lesion detected on imaging studies. It may mimic a pancreatic neoplasm, mainly a neuroendocrine tumor. The use of EUS-FNA is an essential tool in the diagnosis of the lesion. The endothelial cells of the splenic sinuses characterized by their positivity for CD8 are evident in the sections of the cell blocks. This staining is considered specific and can be used as a confirmatory marker. EUS-FNA biopsy provides a reliable diagnosis that prevents unnecessary surgery. Scimitar syndrome is a form of a partially or totally right pulmonary venous return to the inferior vena cava, which may associate variably right lung hypoplasia, right pulmonary artery hypoplasia, pulmonary sequestration together with the presence of aortopulmonary collaterals from the descending aorta towards the right lung. In many cases, there are also other cardiac anomalies associated. We present a unique association of a partially anomalous pulmonary venous return to the inferior vena cava with other vascular and thoracic anomalies: inferior sinus venosus and secundum atrial septal defect, retroesophageal right subclavian artery, obstructed accessory right bronchus, diaphragmatic hernia with ectopic liver, S-type thoracic scoliosis and malformations of the urinary tract (duplication of the right ureter and of the left basinet). The patient had a reimplantation of the scimitar vein to the left atrium and closure of the inferior sinus venosus and secundum atrial septal defect. Purpose: The main purpose of the present paper is to analyze the rules for processing of special categories of personal data (genetic data, including biological samples, biometric and health data) in the light of the new General Data Protection Regulation (GDPR), thus contributing to overview the health status and the biomedical state of the data subject. Background: Over the last two decades, debating the European Union s (EU) major legislation with regard to personal data and patients rights became relevant for the scientific research. The paper assesses the basic legal provisions with regard to the genetic, biometric and data concerning health considered as sensitive data, while safeguarding the ethical standards of the scientific research. The present article investigates the ethical and legal approaches to processing personal data in the understanding of the new regulatory guidelines regarding the data protection, here including the health status and the rights of a data subject. Conclusions: The protection of natural persons with regard to the processing of genetic, biometric and health data and the free movement of such data are reinforced in the new GDPR entered into force in May 2016 and applied from 25 May 2018. The new legal context elucidates: the special categories of personal data (sensitive data), the consent and the research exemption by explicitly recognizing the pseudonymised data. Although the new guidelines revisit the EU data protection reform, it also grants the EU Member States the right to maintain or introduce further limitations to the processing of such data. Ambroise Pare was a renowned French barber-surgeon, considered by many to be the father of surgery. Originating from a family of barber-surgeons, he unraveled the secrets surgery at an early age, and he masters it by participating in the many military actions of the French Army of those times. As recognition of his merits, the kings of France proclaimed him their chief barber-surgeon and even president of the Royal College of French Surgeons. He was a doctor endowed with many qualities and contributed to the development of many medical specialties. Ambroise Pare has brought many contributions and innovations to the development of medicine. Worldwide, his name is closely related to the use of surgical hemostasis. As a true Professor, he offered his entire medical experience through the publication of 25 manuscripts that address various medical specialties. Perseverant and perfectionist by nature, Ambroise Pare represents a true role model for generations of surgeons to come. 32. Letter to the Editor: Adenomatous oncocytic hyperplasia of labial minor salivary gland duct: age-related or treatment-induced change?